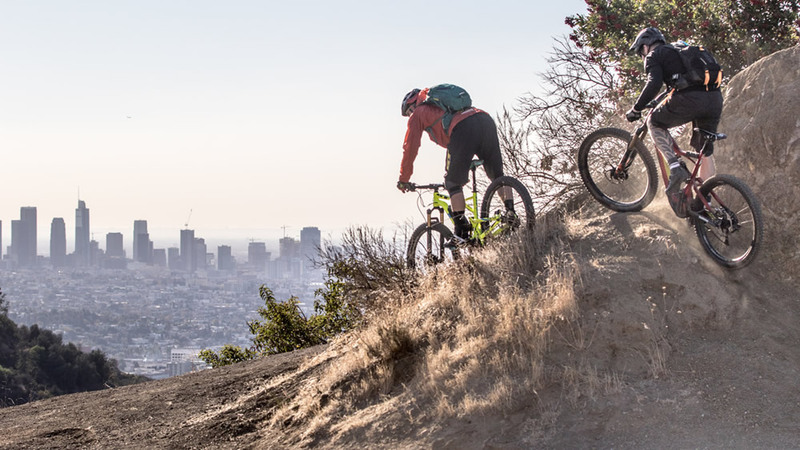 “TransAngels,” a short featuring Laguna Beach resident and mountain biker Hans Rey made the cut and will be shown at 5:45 p.m. Monday, May 30, with “The Moment” at Big Edwards in Newport Beach. Every year, the Newport Beach Film Festival receives more than 3,000 submissions, but only accepts about 10 percent. The rest are indeed cut. “Quota,” brings this year’s theme to life. It’s described as a sci-fi drama set in a dystopian future, with two crystal miners pitted against each other to achieve their mining quota, fulfill their contract, and then return home. Directed by Jillian Martin for the Costa Mesa-based agency Garage Team Mazda, “Quota” will screen prior to the opening night film “American Animals” and become familiar to festival-goers, screening prior to each full-length and short film during the run of the festival, April 26 through May 3. Todd Quartararo, the festival co-founder and marketing director, said the agency presented eight ideas for the trailer, but Martin’s treatment surpassed expectations. This year’s promo looks like a mini sci-fi drama that pays homage to the classic “2001: A Space Odyssey” with a story that keeps viewers in suspense. “We believe the quality of our branding should be equal to the exceptional production and creative values our filmmakers bring to the festival,” Quartararo said. So how do films get selected? Festival co-founder and chief executive Gregg Schwenk and other programmers make the rounds of top film festivals such as Sundance and Cannes to seek out the spotlight films to open and close the festival and to lead its international programming. The other 300 selections for the short film programs, documentaries, music videos and youth films are made by volunteers, recruited to watch submissions and rate them to help determine which submissions make the cut. For the past seven years, I have been one of those volunteers. The process is simple though time consuming, but also addicting. You can’t wait to watch the next film and discover a movie gem. Here’s how it works: Once the submissions start coming in, they are available to watch online through a special portal on the festival’s website. They are grouped by category (narrative, documentary, short narrative, short doc, animation, music video, etc). Once a category is selected, four films are listed along with their descriptions and run length. Once a film is selected, a new window opens on your computer and the film begins. One caveat: reviewers agree to watch an entire movie no matter how bad it is. For a five-minute short, no problem. For a two-hour film, that can amount to agony. Once a film is viewed, we rate it on a scale of 1-9 (9 being best) in six categories: cinematography, acting, directing, editing, production and story. Then we give it an overall rating, a few sentences on the reason for that rating, and whether it should be in the festival. Once four reviewers have watched one film, it gets bounced to the festival staff for their consideration. As a former film major who has made films, worked on a film crew and studied filmmaking, I have a basic knowledge of what makes a film good and what makes a bad one. Because I’m time pressed, I usually review short subjects and music videos so I can view a few at a time and then return to view more when I have more time. Using that system, I watched 191 films for the 2018 festival—the second highest total of all the volunteer screeners. I saw my share of marginal films and a handful that I thought should make the cut. A still from “Hamilton Tap’d Out,” a short about local tap dancers and one of the author’s picks that made the cut for this year’s festival. 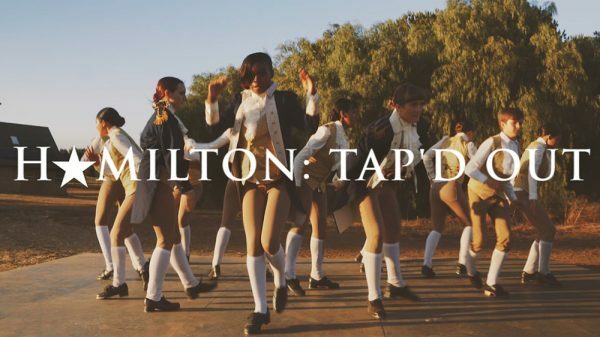 And yes, “Hamilton: Tap’d Out” made the cut and is screening as part of a program of short dance-related films. So is “Voice [KOE],” about a lonely man who falls in love with a shadow that appears on his apartment wall. Of course, there are also the duds. For more information on the Newport Beach Film Festival, visit NewportBeachFilmFest.com.